We have been extremely fortunate to have a Local Government Association who recognise the need for training to support the Syrian Resettlement process and who provide it for free. 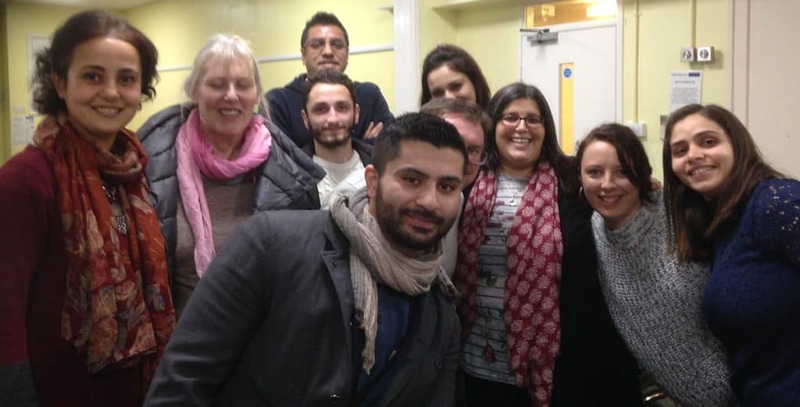 This week we attended a brilliant course in Cambridge where we met up with case workers from around the East of England, including asylum seekers and refugees who work as volunteers or in paid roles with resettling families. The sad truth though is that, like many NHS areas, Mental Health is getting less funding and many of the cases which we have been involved in are given to willing professionals who don’t know what to do when presented with somebody who has been through such trauma. Our plans this year include workshops and meetings to share information and ideas with the NHS and other experts in this field. We have made excellent links around the Colchester area and are frequently asked for support by NHS teams for people who have become isolated and fearful.